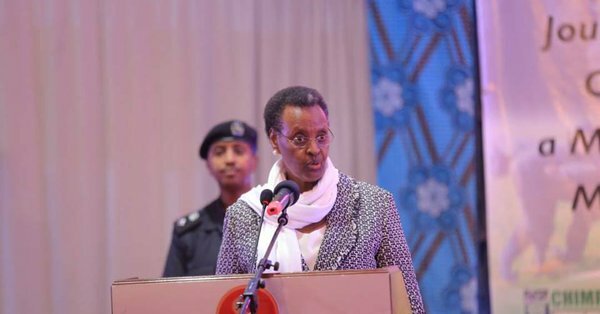 KAMPALA – The Minister of Education, Mrs. Janet Museveni, has revealed that her ministry will soon table before Cabinet the Uganda National Examinations Board (UNEB) Bill which seeks to penalize school head teachers who misappropriate candidates’ registration fees. The practice of students missing exams because of their head teachers misusing their registration fees has become rampant, the latest being in the just-concluded PLE exams where 20 pupils in Iganga missed their exams after the school director allegedly misused the money. Addressing Parliament on Thursday, Mrs Museveni said all this will be put to end with the UNEB Bill. “The UNEB Bill coming before cabinet soon has very stiff penalties for such heads, and directors, of schools who swindle registration fees. Meantime, parents are encouraged to check whether the schools in which they enroll their children are registered by both the Ministry of Education and Uganda National Examinations Board,” the First Lady said. However, some MPs such as Medard Sseggona (Busiro East, DP) wondered how the ministry will compensate the candidates who did not sit for PLE because their school heads did not have them registered by UNEB. However, Mrs Museveni said administering another examination is difficult under the circumstances. “Giving another examination with its attendant costs can only be done when the examination body cancels or withdraws entire or regional examinations due to factors e.g. widespread malpractice that renders that examination invalid. Giving another set of examinations would set a dangerous precedent as school heads and directors would be emboldened to swindle funds knowing that another examination is possible. Schools can start creating excuses for not presenting candidates if they know there is always another chance,” she said. At least 20 primary seven pupils of Bahrain Nursery and Primary School at Buseyi Village, in Iganga District failed to sit for their PLE which started on Monday and ended Tuesday. The pupils’ failure to sit for exams was after the school administration allegedly connived with Ministry of Education officials and misappropriated money meant for their registration.